Before we are going to have a look at tweets of game 4, let us look back at game three. Many, many tweets popped up in the Twitter timeline. Not surprisingly, most tweets came from India. “Chess” and “Anand” was trending in India, meaning that literally thousands of people congratulated Anand on his win in the third game. However, a rather nasty side effect showed up: the official Twitter hashtag #CarlsenAnand was flooded with spam, by spambots. A spambot is an automated computer program designed to assist in the sending of spam. Spambots usually create fake accounts and send spam using them, although in many cases it would be obvious that a spambot is sending it. (Wikipedia). Sometimes “spam” can be funny, though. Chess now! @kasparov63 tweeted about his old rival. Let us not forget that he played a world championship match against Vishy in 1995! 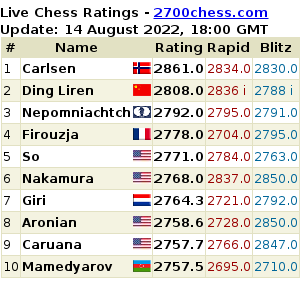 Magnus Carlsen was 5 years old…. Are we ready for game four? Judit Polgar posted this picture. 10. @Jonathan_Rowson: “Vishy was very composed today. Magnus applied typically subtle & potentially deadly pressure, but made no psychological impact”.